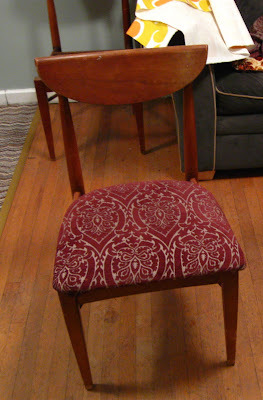 Just a girl with a hammer: Reupholstering the dining room chairs. I bought my dining room set at a consignment shop called Rerun. 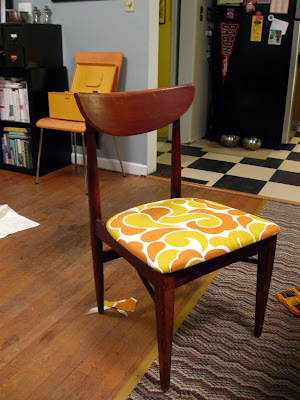 I intended to reupholster the chairs early on, but here we are six months later . . . 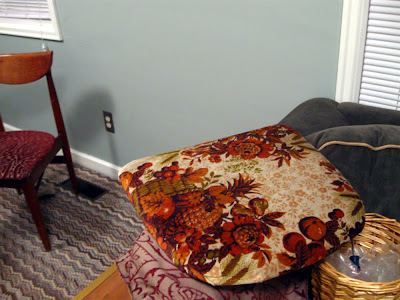 I finally decided on a fabric from Tonic Living and it was a snap to change it out. 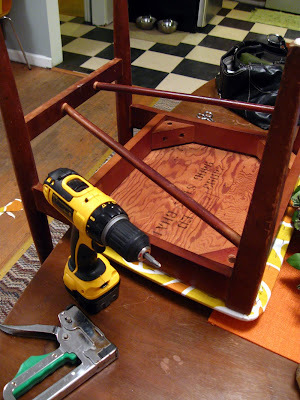 I flipped over the chair and removed the screws that hold the seat to the chair frame. Then I began the process of removing all the staples. I used a screw driver and a pair of pliers. Oh hey, there was another layer of fabric under there! I made sure to not vacuum before I put the fabric face down on the ground. 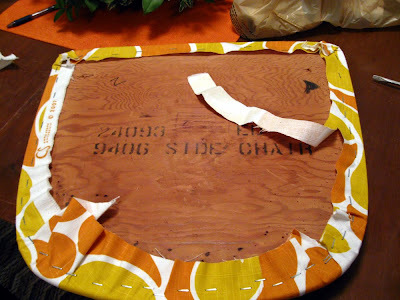 That way the fabric would get nice and coated with dog hair. 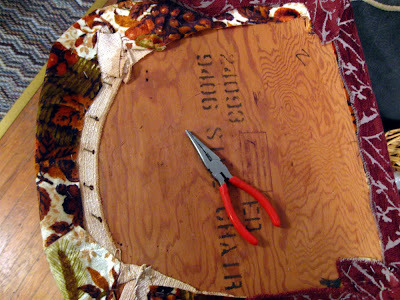 I cut out a piece of fabric and started stapling it to the chair bottom. 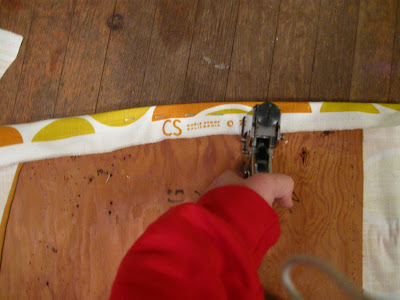 I found this staple gun when I bought the house in a kitchen drawer, along with the aforementioned hammer, and a wrench. I love free tools. 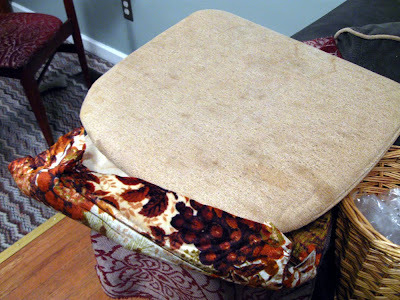 Then I trimmed the excess fabric away and screwed the seat back onto the chair frame. It looks so much better, yes? Then I started on the rest of the chairs. And promptly ran out of staples. Damn it.